The historic cold wave seems to vanish and spring is finally coming around the corner in South Korea. To rejoice the new season, food and beverage producers are releasing seasonal items embellished with seasonal fruits and flowers. Try some of these seasonal flavors and awake your palates! Korea’s beloved snack pie, Choco Pie released a seasonal flavor freshened with strawberry and yogurt flavor. The harmony of marshmallow, strawberry compote, and yogurt flavor creates a refreshing flavor. Along with the new Choco Pie flavor, Orion, producer of Choco Pie, also released Peach & Yogurt Fresh Berry. The product is already going viral on social media. Coca-Cola also released a special edition for the coming season. 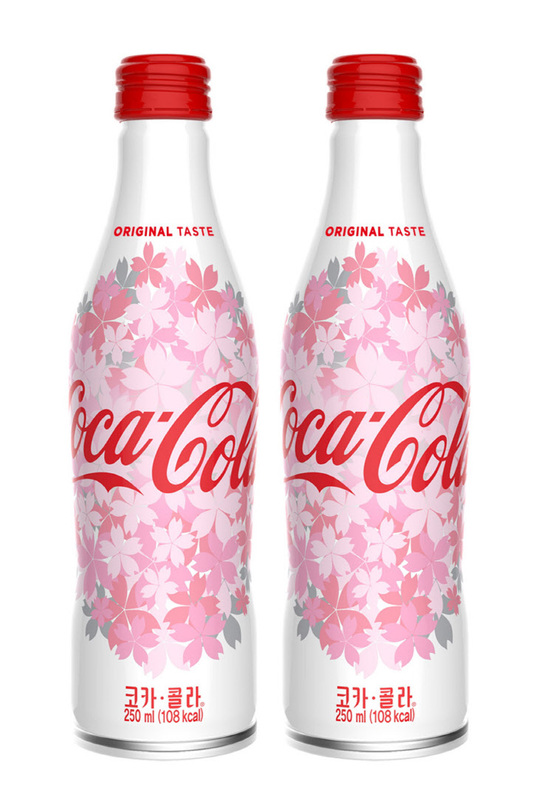 The collectible bottle, embellished with cherry blossoms, was originally made available only in Japan but is now made available in Korea as well. 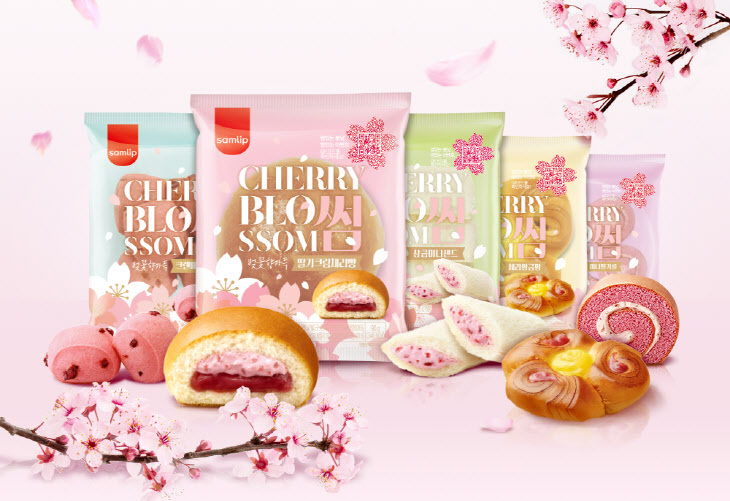 Pastry maker Samlip has released a series of five seasonal products using cherry blossom and strawberry flavors. Their classic line-ups, such as cream bun and rolled cake products, are made perfect for the season with added fruit flavors and scents. Following the return of Choux Cream Frappuccino in February, Starbucks Korea is releasing additional seasonal flavors using strawberries. Strawberry Peach Blended, Seasonal Strawberry Cake, Strawberry Cream Frappuccino, and Strawberry Yogurt Blended will become available for a limited time from March 8. Thanks to its popularity, Japanese brewer Asahi has released another seasonal beer this spring as well. Decorated with cherry blossoms, the can contains beer made with mistral hops, which gives crisp yet flavorful taste to the beer.